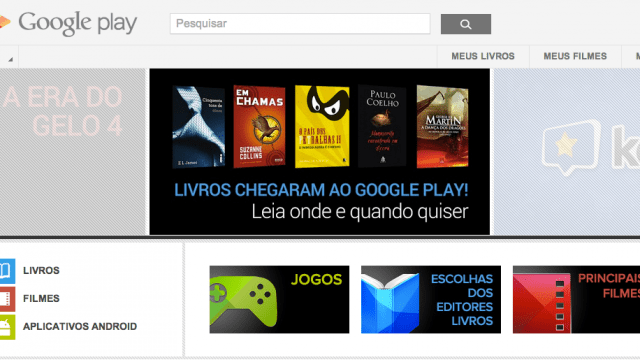 It seems Amazon is not the only ebook retailer to launch in the dead of the night; I have just read that Google Play is now live in Brazil. Google is selling apps, books, and movies in Google Play. I'm told there's no mention of the Nexus 7 tablet or music, but prices for ebooks look to be about on the same level as in iBooks and the Kindle Store. The same goes for movies, with Google slightly edging out iTunes in both rentals and sale price. I'm waiting to hear back from Google on the number of titles available and when they plan to sell the Nexus 7, but as for now it looks like the Brazilian market just got crazy competitive. The 200 million consumers in Brazil are going to be fought over 4 way battle for their pocketbooks. That's a good thing for the consumer.